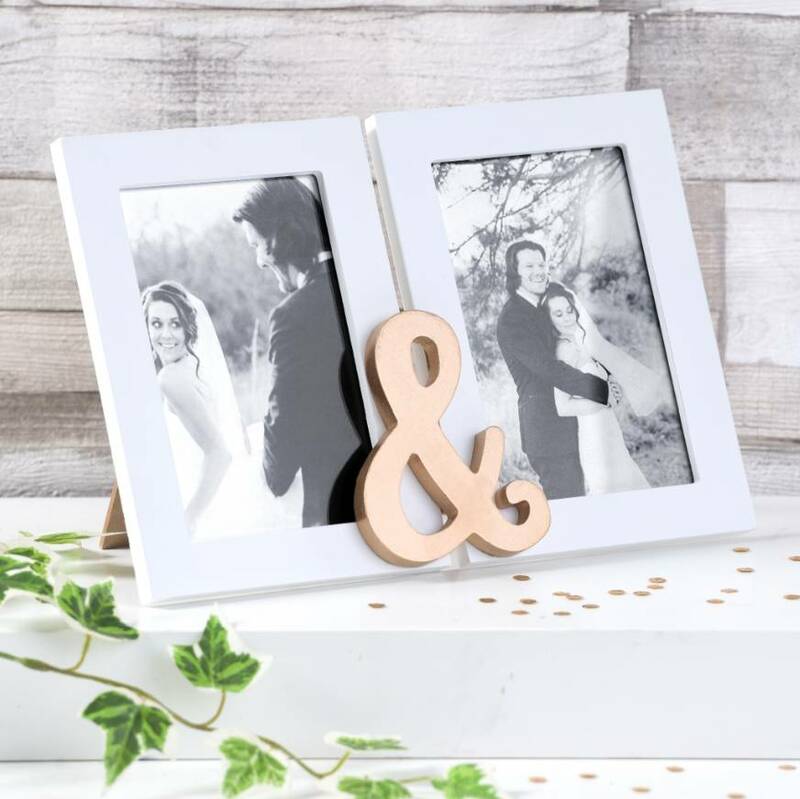 An unusal Double Photo Frame. With two portrait frames it has a gold ampersand symbol in the centre of the design. It comes in a gorgeous, white finish with a gold ampersand linking the two photographs. Perfect for love birds and newlywed couples!